Marouane Fellaini believes Manchester United are not far from matching Manchester City's quality despite trailing their rivals by 12 points. 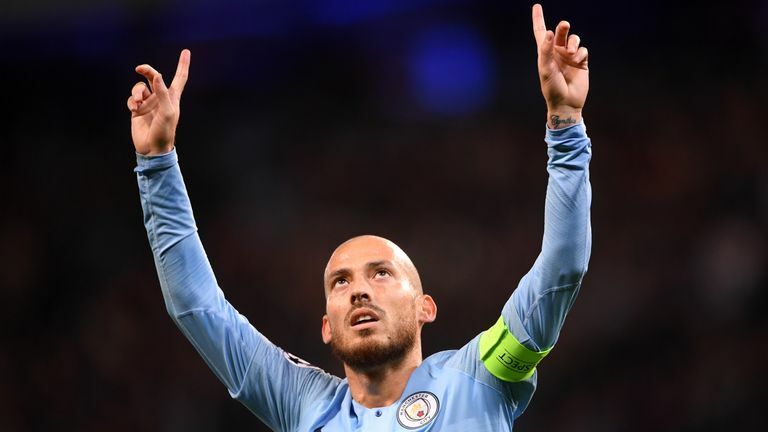 City beat United 3-1 at the Etihad Stadium in the final league game before the international break, leaving them eighth in the Premier League and seven points off the top four. But United midfielder Fellaini told Sky Sports Jose Mourinho's side are not as far away from the Premier League leaders as the table suggests - and he is already eyeing revenge for that defeat at the Etihad in the teams' next scheduled meeting at Old Trafford in March. When asked if the result had emphasised a significant gap between the two teams, he said: "I don't think so. I remember when I arrived in England it was a top four, now it is a top six, so every year it is more difficult. "Next season we will see how it changes and in two and three years I think every year it is more difficult, the intensity is higher, so that's why the Premier League is attractive. "Manchester City are strong, but I think they will lose. Ok, they are very good and they have good players but it's possible to beat them. We lost, but we have the second game at Old Trafford and we will see." City registered a record-breaking points tally of 100 in 2017/18 and look set to come close to matching that figure again this season after a lightning start, and Fellaini admitted there was plenty to admire about Pep Guardiola's men. He said: "They are very confident, all of them, they play good football, they play attacking football and they have a good dynamic."